…and I got some! Some fabulous letters, cards and ‘zines and stickers and patches and general heartfelt beauty. Thank you so much, generous and kind people. You made me feel visible, supported….loved! 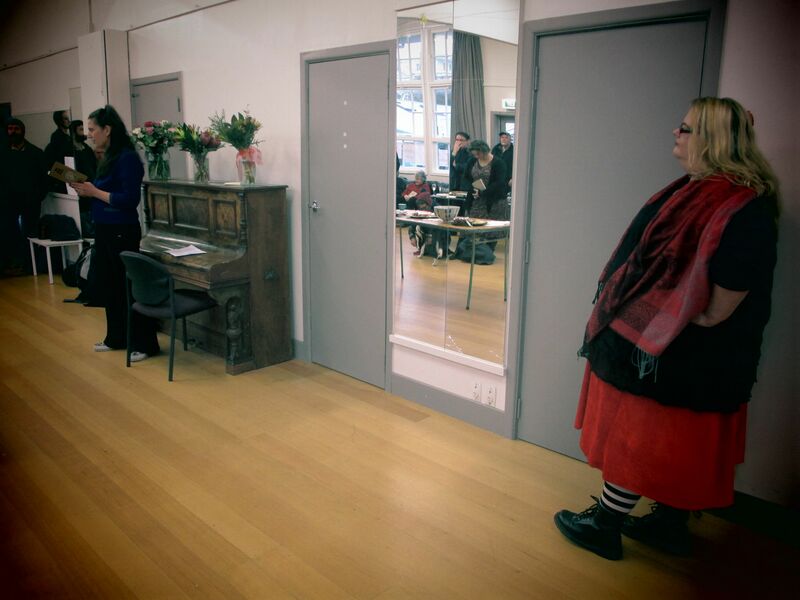 Last Friday the public collaboration phase of BLACK RIVER was launched…with a haka, a song and some morning tea. In this phase, people are invited to contribute writing (there are two typewriters in the space, plus lots of pens and paper) or visual art and they can immediately hang it, becoming part of the exhibition. Also, all of the involved poets and artists have their drafts/sketches on display in a cabinet. The idea of this was to share creative process with the public. It is a little bit exposing/embarrassing/weird to have my scrawling, messy poem draft on public display, however I believe in the reason behind it (sharing creative process). 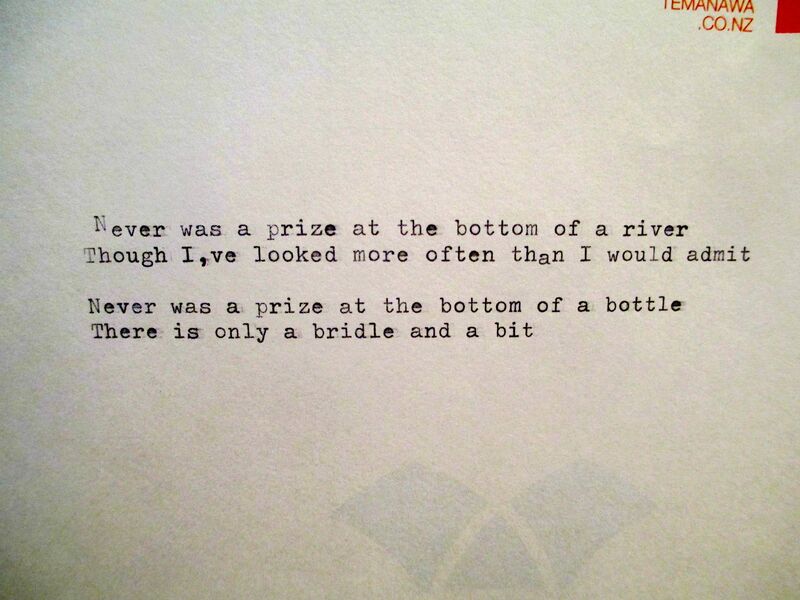 (It doesn’t help that the other poets seem to have basically ‘cheated’ (I say this jokingly) and submitted fairly polished, finished poems for display so mine looks all the more deranged. Ha ha!) Oh well, all I can say is I STUCK TO THE BRIEF. The pollution of the Manawatu river is quite a political ‘hot button’ in my region, so I am looking forward to seeing the public’s take on it. 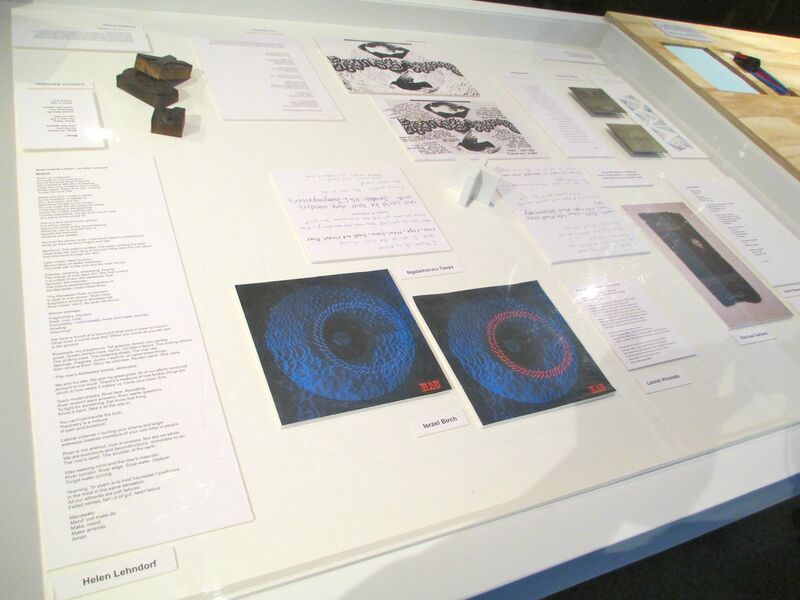 Here is the cabinet with the sketches and poetry ‘drafts’. My mess is on bottom left – notice how much longer it is than the other ‘drafts’? Ahem. 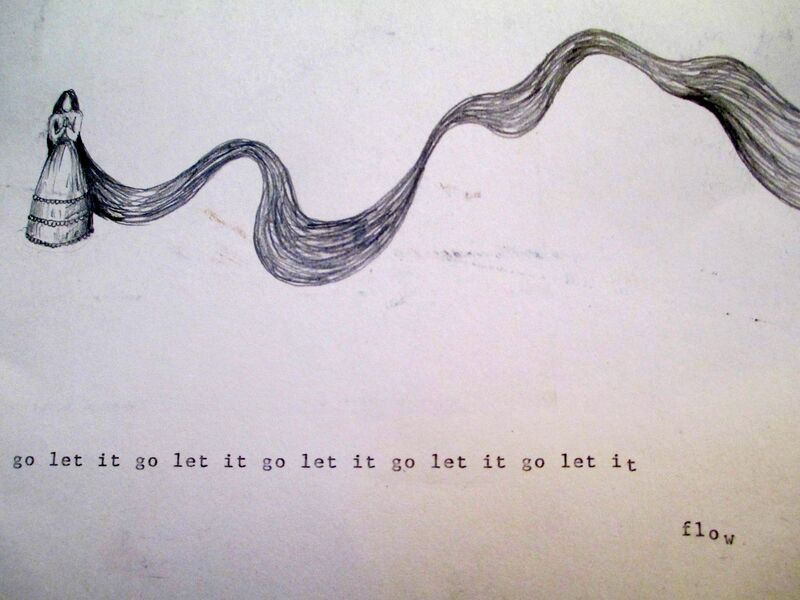 River as hair + a great sentiment…. The Rope Walk is launched! Before I blather on about the launch of this fine, artisanally-produced book THIS IS WHERE YOU CAN ORDER ONE. GO ON. 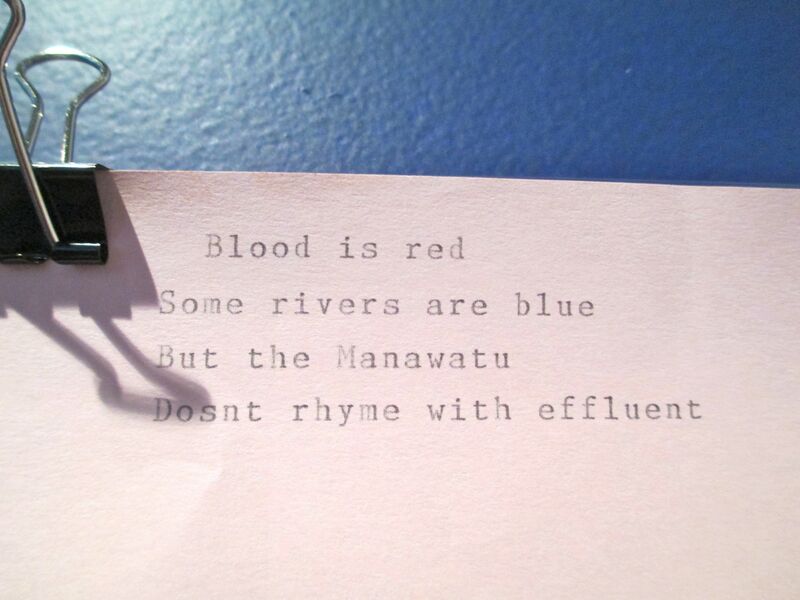 SUPPORT NZ POETRY AND INDIE-PUBLISHING. 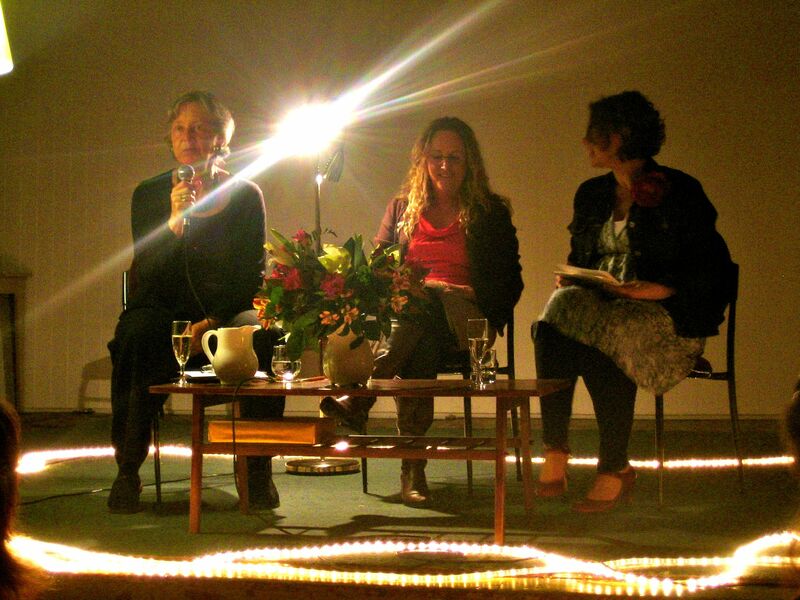 On the weekend, I attended my darling friend Maria McMillan’s (I wrote a bit about Maria HERE) book launch at the Aro Community Hall. This is her first book and it’s with Seraph Press. It was a wonderfully warm-hearted event. The large turn-out and delightful people who attended were testament to Maria’s standing in the community. 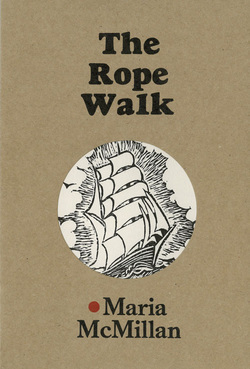 Maria’s partner Joe Buchanan designed and letter-pressed the cover of the book, including the drawing of the ship on the cover. It is indeed a beautiful artifact with great attention played to paper, card, pressing, stitching. Book as objects d’art. But it is not all style over substance….the poems, an invented family history across multiple generations, starting with the first settlers are rich, detailed and poignant. For a chapbook, this collection is dense and satisfying. It has the heft of a full collection in a chapbook size. There were flowers everywhere – gifts from her friends. 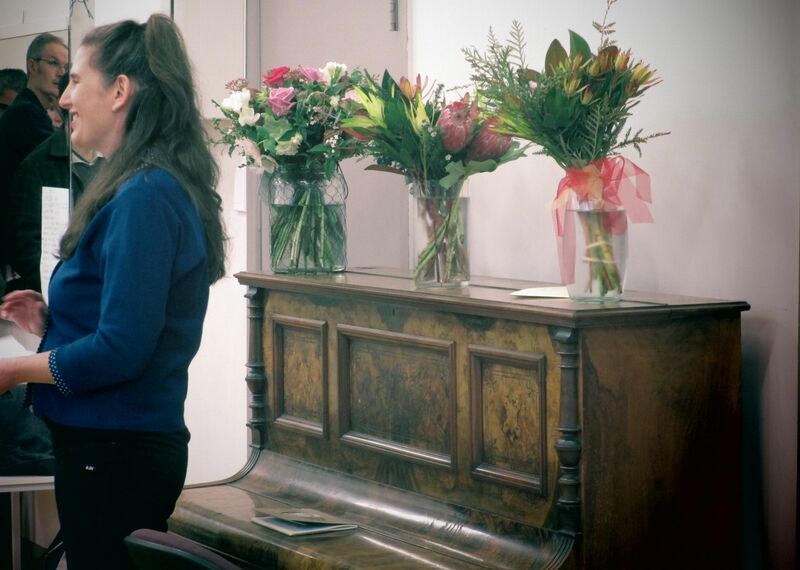 These ones on the piano were just a few of the gorgeous bouquets everywhere. Here is Maria giving her speech. 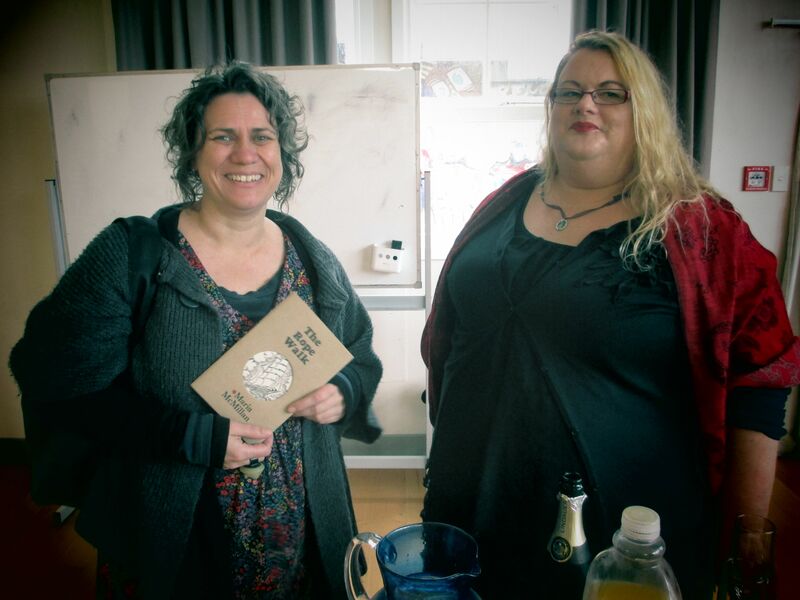 Here is Maria with Kirsten McDougall who launched the book and gave a thoughtful and celebratory speech. 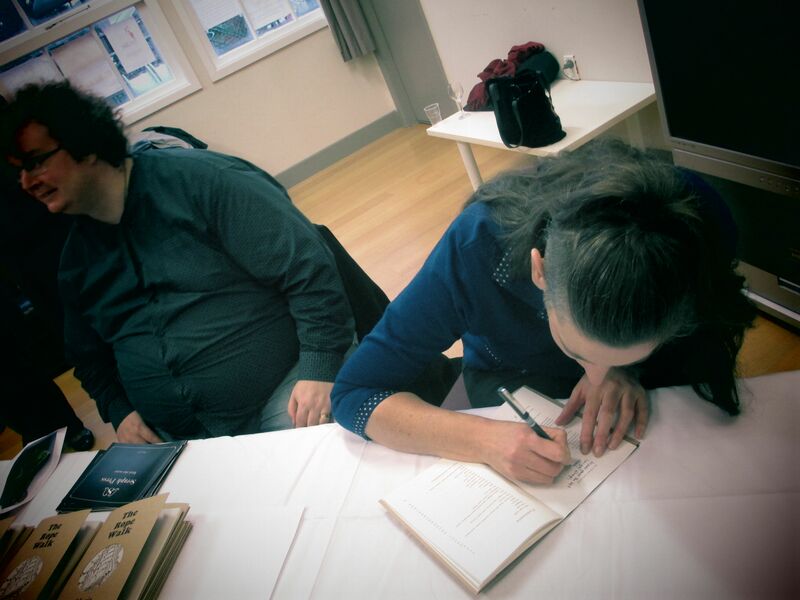 Finally, writer Janis Freegard bidding me (and now you!) 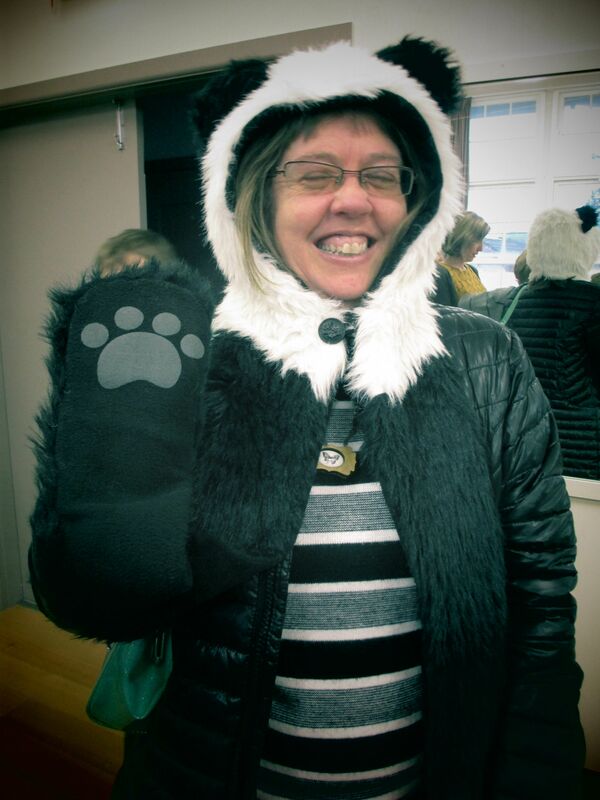 farewell in her fantastic panda-with-paws hat/mitten ensemble. Janis always has the best accessories! HL: Congratulations on your new book, Johanna! Can you tell me how you got into foraging? JK: Thanks Helen! I was always fascinated by all the uses of plants, and I experimented madly as a child and a teen. As an adult I got into it again after I had children. I saw the natural world anew – through a child’s eyes again. Plus I got interested in food activism, and foraging kept cropping up as part of that. HL: Why do you think foraging is an important skill to have? JK: In the Western world we’ve grown so distant in our relationships with the plant kingdom. 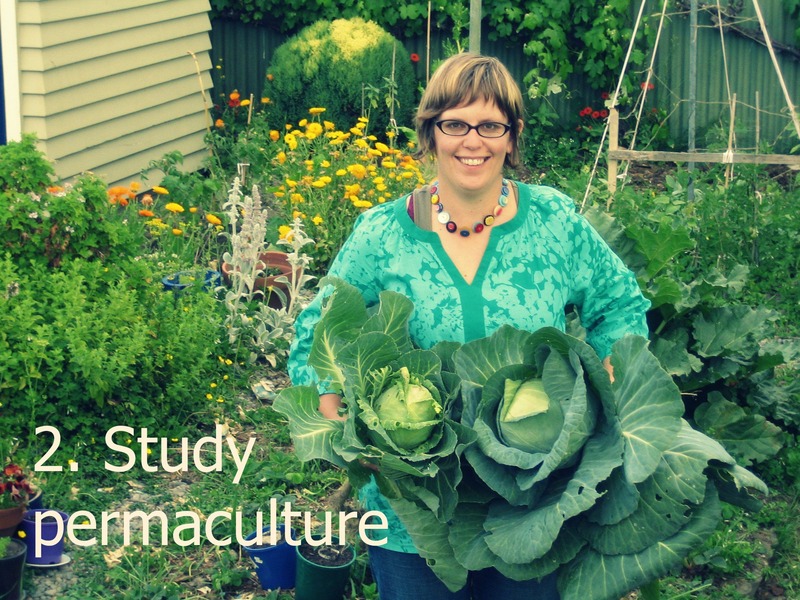 Obviously there are exceptions – all the amazing researchers and trampers and wanderers, and gatherers and growers like you, who are maintaining and developing give-and-take relationships with the plant world. But as a society in general we’ve become disconnected from the truth about how we need plants for our survival and wellbeing. If we forget how all that works, we also forget what plants need from us in return. That way lies disaster. 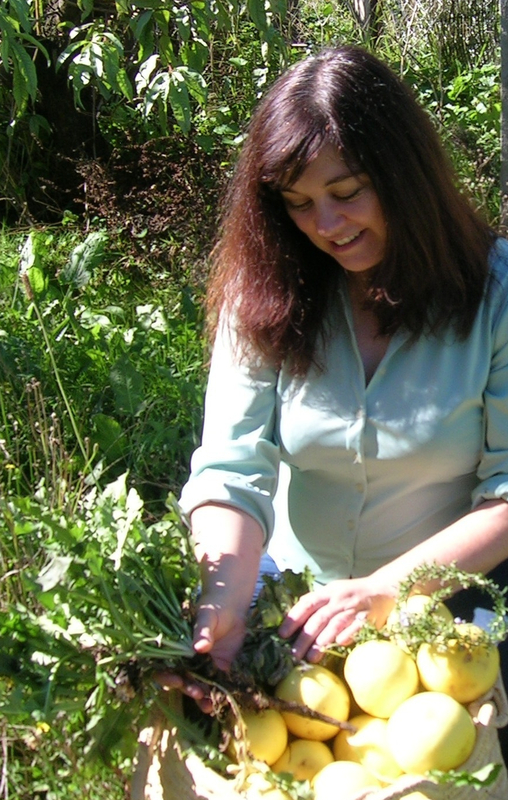 So foraging is a fun and productive way to help revive that relationship. You can definitely save money foraging too! Plus it’s empowering to be able to look around you, wherever you are, and see the ingredients for food or medicine or perfume or dye. HL: What have you learned from your foraging adventures? JK: To be patient about knowledge! To not try and identify everything and know all about every plant at once. That’s just frustrating. You have to read and listen and think and observe, and gradually things dawn on you. You can short circuit parts of that process if you get someone to show you stuff directly, but you still have to do your own research and observation and thinking. HL: Do you dumpster dive, too, or is your ‘foraging’ restricted to natural foods? What do you think of dumpster diving? JK: Dumpster diving is admirable. I haven’t been party to it since before I had kids. Maybe I’ll take it up seriously one day … I like the idea of doing it as a 70 year old. HL: What would your ‘Absolute Top Five List of Things To Forage (even if you are not a keen forager)’ be, and why? JK: This is hard! I reserve the right to change this list tomorrow. Kawakawa: my first native plant friend, so easy to identify, so abundant, so useful in so many ways. Fennel: I never used to like fennel – it gave me a stomach ache, but once I learned to use it more subtly in cooking and also found you could dye things almost fluoro yellow with it, I gained a new appreciation for it. Nasturtium: Every part is edible – and nutritious – and medicinal in that mustardy old-time-remedy way … And it’s so decorative. Good for party foods. Elderberry: Gather the flowers around November, and the berries late in summer and gather heaps. Make bulk syrup and freeze it and then use it in everything all year round. It’s so expensive in shops, and so cheap to make your own. And this tree is not endangered in the slightest. New Zealand mint: I love it that New Zealand has a native mint. But like many New Zealanders it’s a bit reserved and self-deprecating. 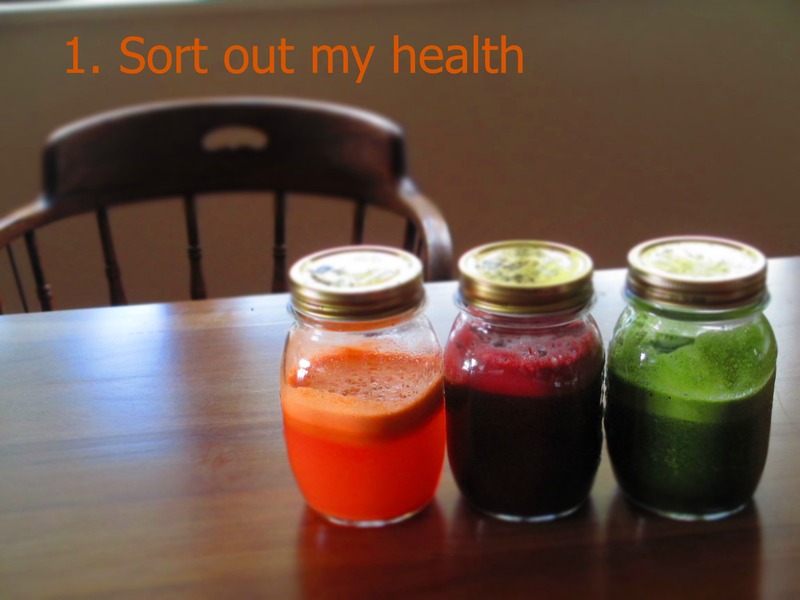 Tough though, with hidden depths … and it gets louder when you mix it with alcohol. If you can’t find it wild, grow it in your garden as a ground cover. HL: How has foraging changed the way you see the world? JK: I think I have a much greater appreciation for New Zealand’s native plants now, what they need, and their enormous value in ecosystems, as well as all the amazing things you can do with them. HL: Do your family & friends ever get embarrassed when you forage and collect windfalls when you are out with them? JK: Not so much embarrassed – just impatient! I always hope I can sweep them along in my own enthusiasm, but there are times when I have to accept they’ve got other things on their mind! HL: Do you forage for mushrooms? Just how dangerous is it? JK: I have anxiety around fungi. 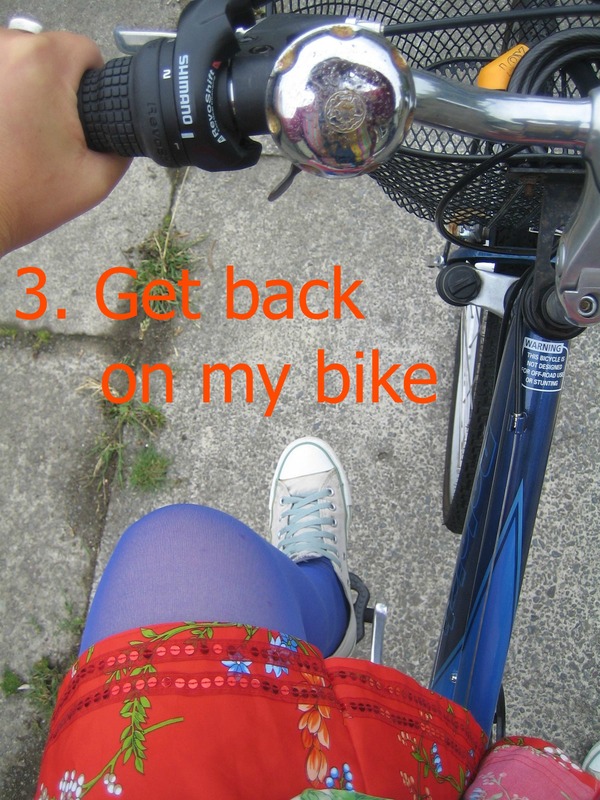 I realise rationally that if you know what you’re doing it’s not dangerous. And I can identify certain fungi that are edible – like boletes and basket fungus… but I can’t bring myself to eat them. I gathered field mushrooms once, cooked them up, and ate them. I knew beyond reasonable doubt that they were field mushrooms. But for a couple of hours afterwards I was still hyper-aware of my body, and every odd twinge, wondering if I’d poisoned myself. I’ve been wondering if this goes back to reading the Babar books as a child. Do you remember that bit where the old king elephant eats a ‘bad mushroom’ and dies? There’s this awful picture of him lying on the ground all green and wobbly. That’s one of my most vivid book memories from my preschool years – staring and staring at that picture in horrified fascination, trying to comprehend it … Now I wonder if that book set me up for a lifetime of anxiety around wild mushrooms! 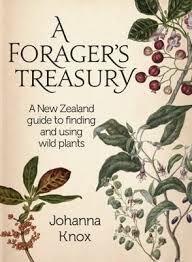 Whatever the reason, A Forager’s Treasury takes a botanical approach rather than a mycological one. HL: Is there a foraged food you eat almost every day? JK: Perhaps harakeke. There are so many varieties, and you never stop learning about it. It’s just this most incredible multi-purpose plant – the nectar as a sweetener, the pollen as a nutritious condiment, the seedpods as a rich chocolate-brown dye (and I love the smell of them), the sap as a healing gel … and that’s not counting all the uses of the leaves as fibre. 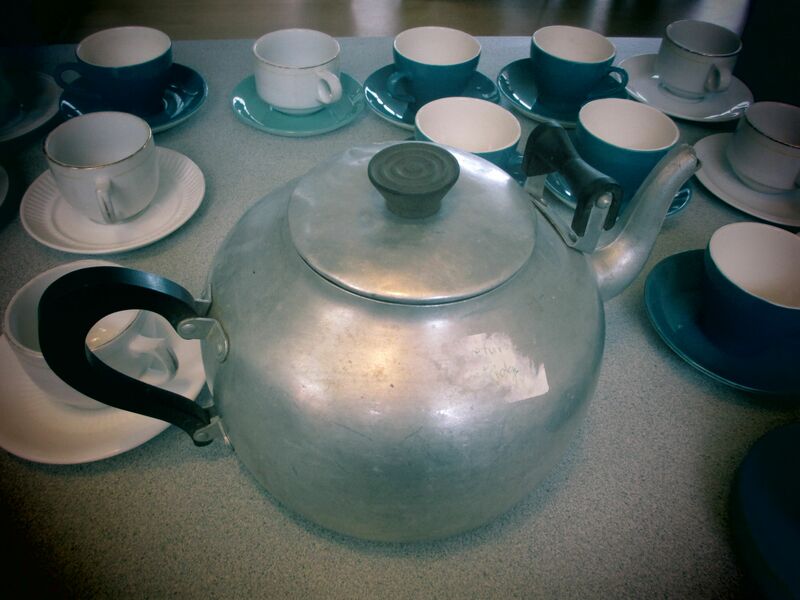 HL: Does foraging have a spiritual element to it for you, or is it strictly pragmatic? JK: I’m not a very spiritual person I’m afraid. I was brought up in a family of geeky atheists. But I think science has served some of the same purposes for me as a spiritual or religious path might for some others. It’s given me a sense of awe and wonder about nature and the universe, a feeling of being just a small part of something grand and mysterious, and a reassuring sense of my own insignificance. 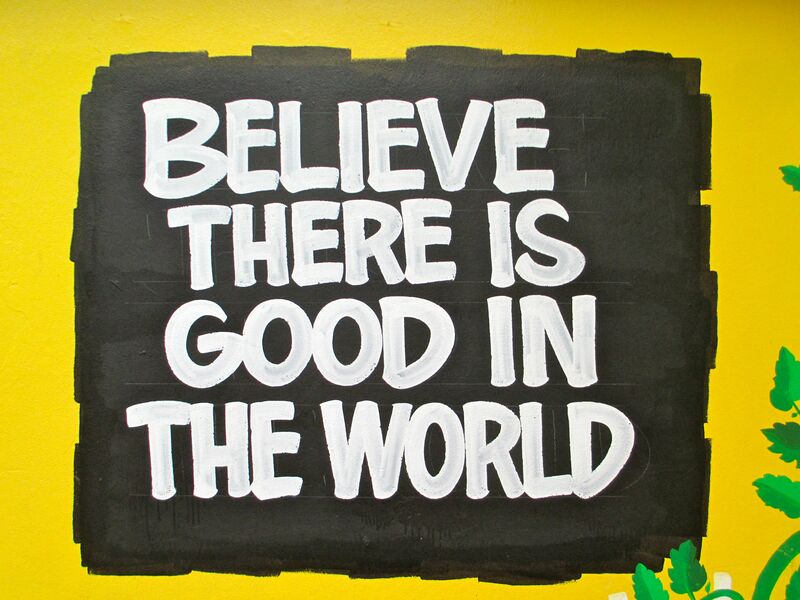 It also helps provide the co-ordinates for a moral compass (however hard it is to follow that compass sometimes). I can’t say it’s helped me fully come to terms with human mortality – I’m still working on that one! But I have the impression many people on spiritual or religious paths struggle with that one too. When you’re out gathering, all those feelings and ideas certainly come into play. Thanks so much, Johanna! Over the next couple of weeks I intend to post a review of ‘A Forager’s Treasury’ and Johanna has also given me a recipe to share with you all as well. If you want to learn a little more about Johanna – look HERE. HERE is a recent review of the book, and there is a website which goes along with the book HERE. 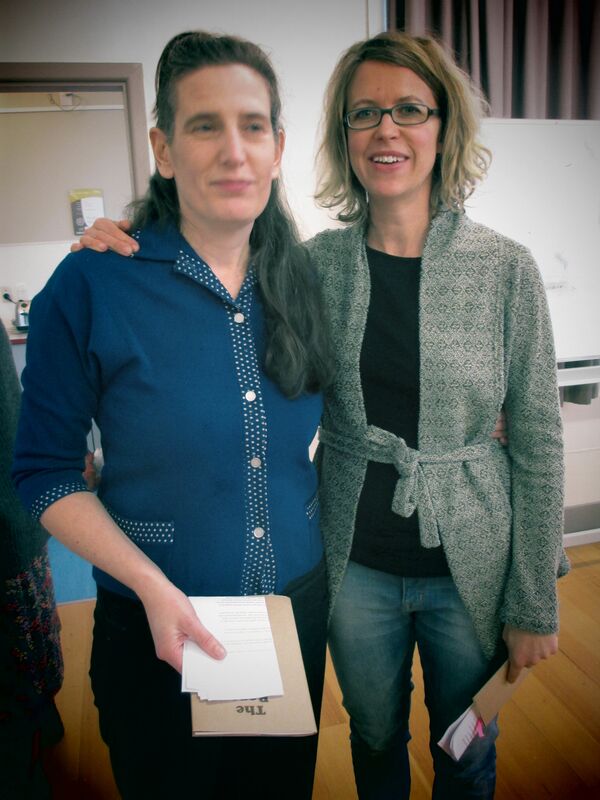 I went to a lovely poetry event in Paekakariki last Saturday – the launch of Lynn Davidson’s ‘Common Land’ (VUP) and a local celebration of the recently launched ‘Graft’ by Helen Heath (VUP). 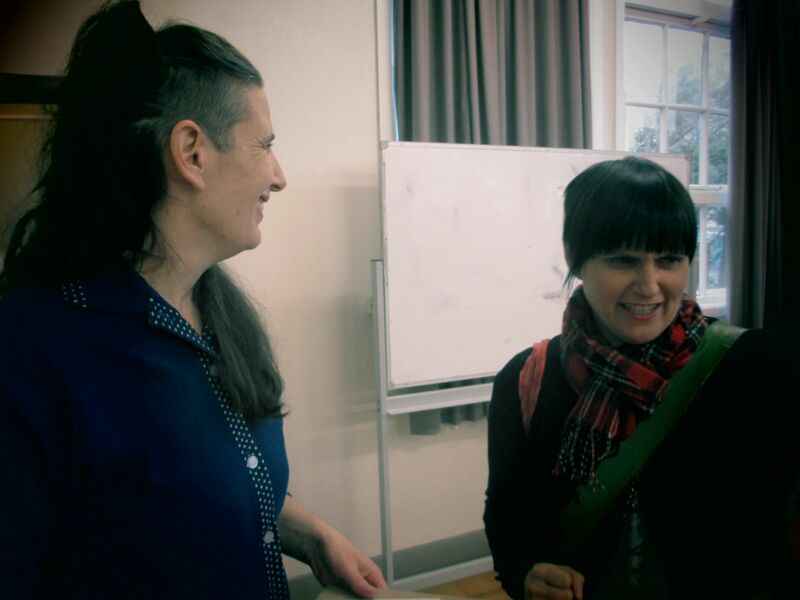 Both poets were interviewed by Paekakariki poet, Dinah Hawken. 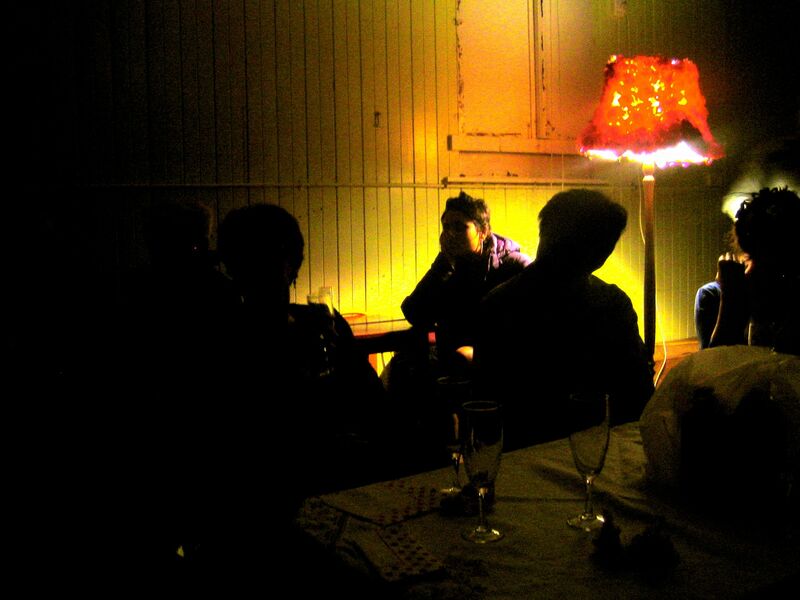 It was a lovely laid-back affair with mood-lighting, a traditional ‘hall supper’, wine, tea and live music after the poetry. Quite relaxed and wonderful! Helen writes a bit about it her launch HERE, with links to Helen Rickerby and Graham Beattie’s accounts of the launches, also. Congratulations, Helen, on all the ‘graft’ that went into this terrific book. It has certainly paid off – what a great achievement! ‘Graft’ is rich and carefully-crafted book. There are affecting and emotional poems about the terroire of motherhood and grief. 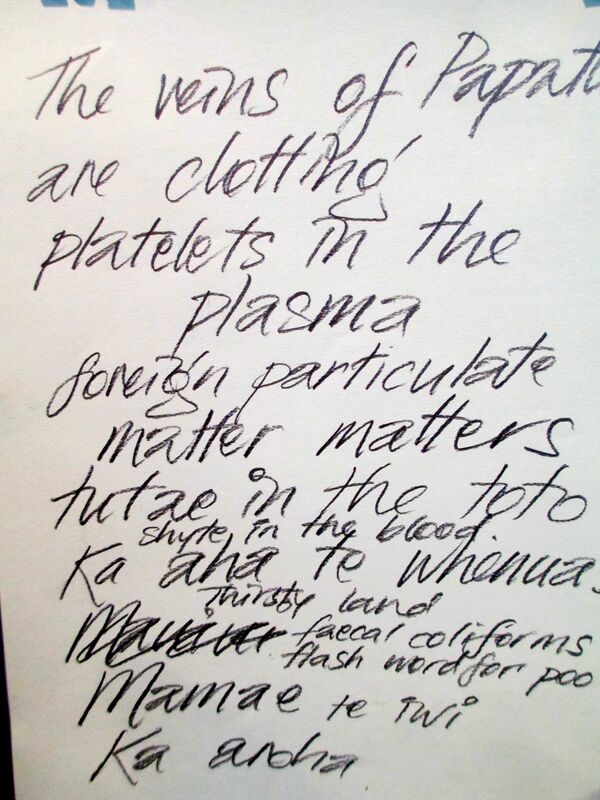 There are sad/funny/sad poems about a composite character from the Hutt Vally called ‘Justine’. There are playful and moving poems about science and scientists. In short, there is a lot going on in this slim volume and it is a dense, satisfying read. 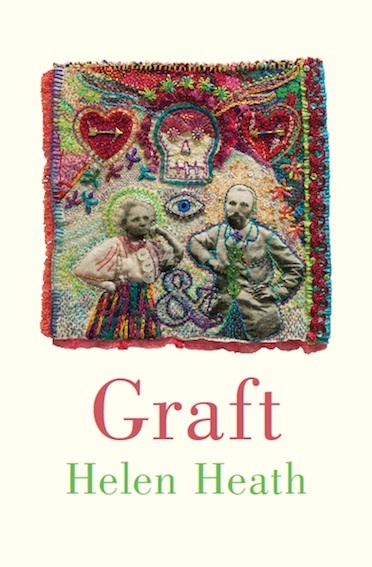 If you would like to win a signed copy of Helen Heath’s ‘Graft’, leave a comment telling me what your favourite poem by a New Zealand poet is. (New Zealand residents only, please.) I’ll randomly draw a winner in one week’s time. Good luck! 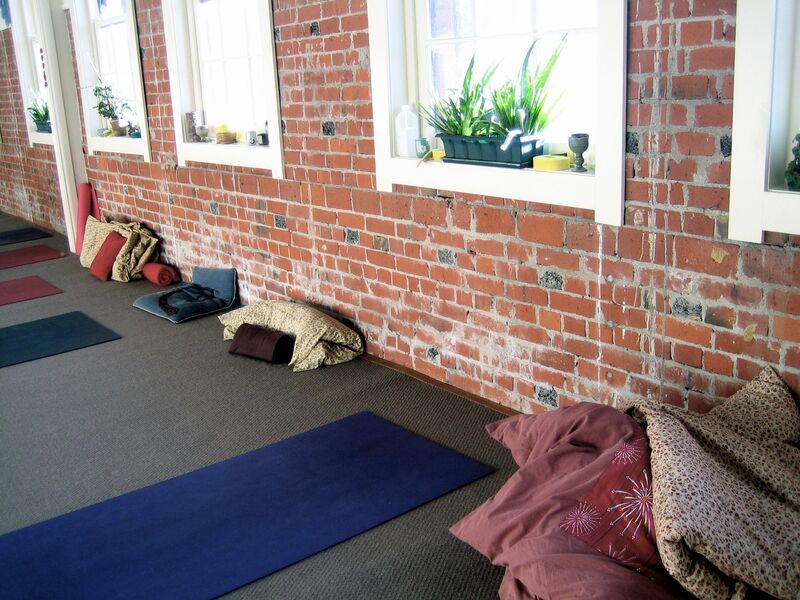 I spent two days over Easter at a yoga retreat at the studio where I practice, train and teach. 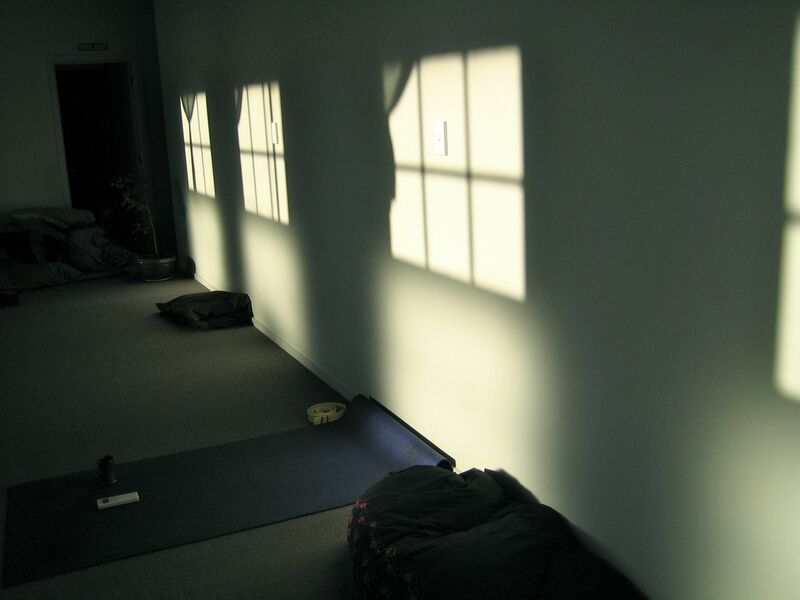 We did many hours of yoga, grilled our teacher, Nat, about yoga matters, and did walking and sitting meditations – a lovely way to melt into the Easter break. I fought with a lot of my own personal demons to stay on the mat for two whole days: defiance, resistance, self-sabotage, not to mention a bit of laziness! 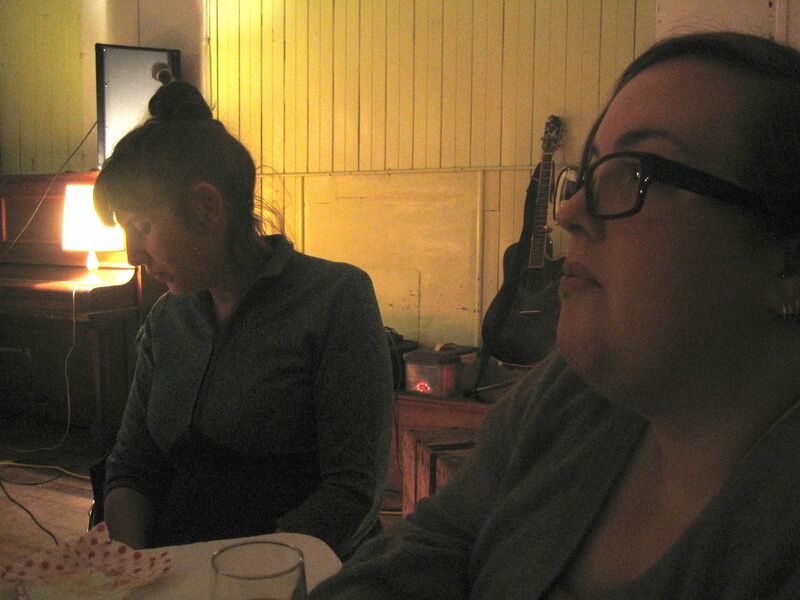 but amongst all the mental wrangling were many moments of peace, rest and deep enjoyment. 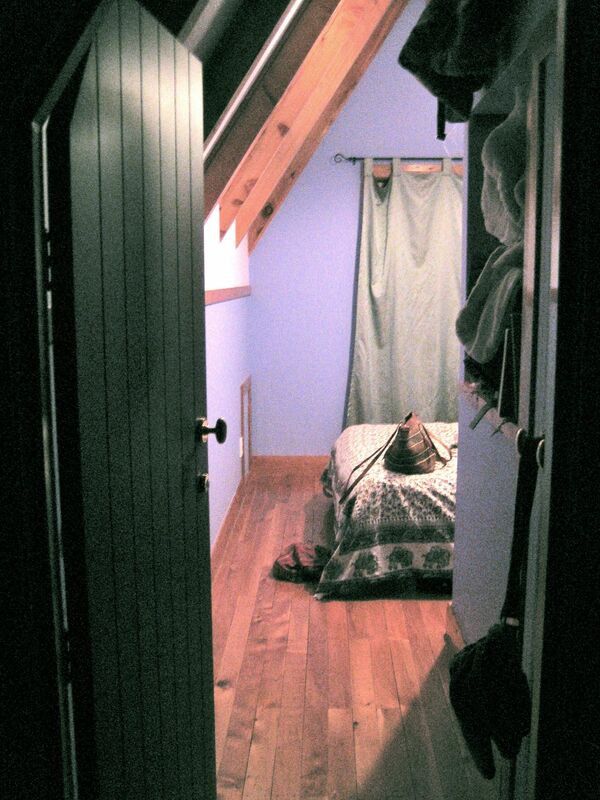 I love Zing Studio – the building is so lovely and characterful. It is over a hundred years old and has been a Salvation Army citadel, a brothel and a swanky restaurant in it’s time.